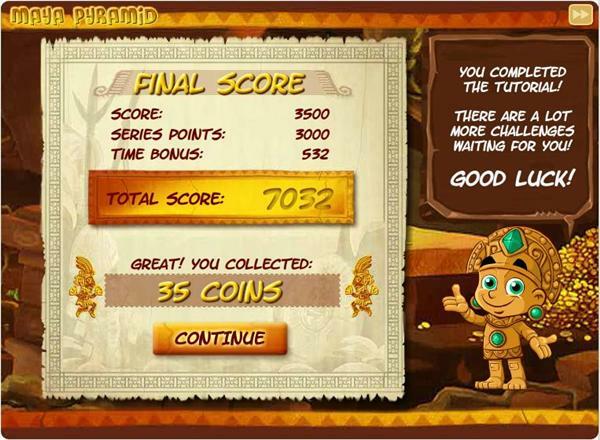 Maya Pyramid is a free card game similar to the “Pyramid” Solitaire game, developed by GameDuell. 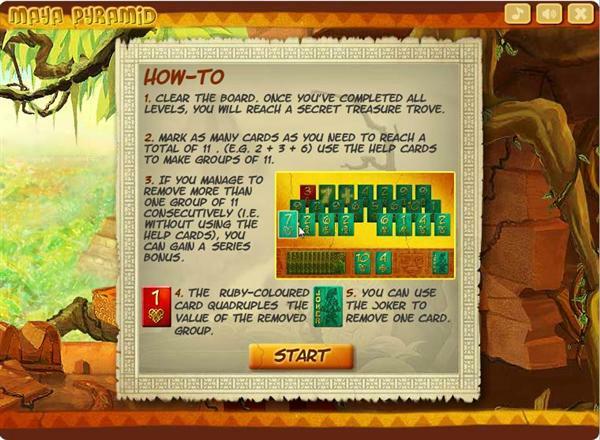 You start with a pyramyd of cards and you have to remove all cards from the pyramid, this is done by making groups of 2 or 3 cards that add up to 11. The game uses a deck of 42 cards and 1 joker, only “Free” cards can be used, free cards are cards with no other card on top. 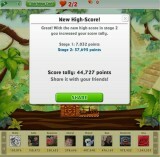 Maya Pyramid uses simple gameplay processes, just point and click, but requires quick thought and mouse. The game requires you to dismantle a set of 24 – 26 cards as quickly as possible. The 24 – 26 cards are face up and another set of help cards are face down. 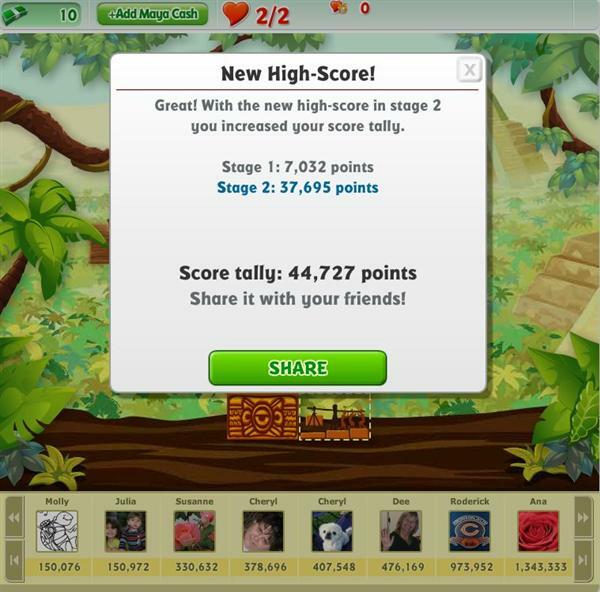 The trick is the more cards that players can dismantle without using the set of help cards, the more points they will score. 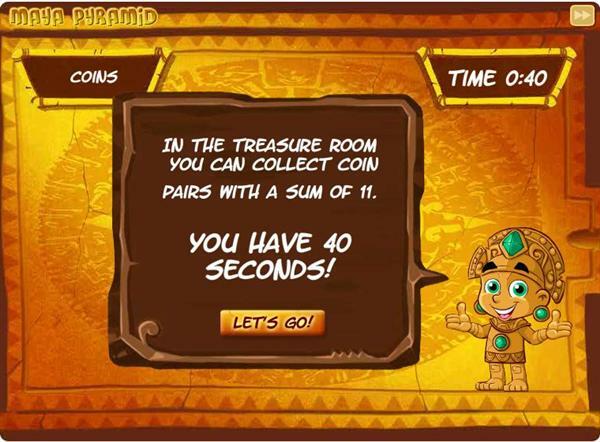 Maya Pyramid is a very addictive and fast paced game, and as a bonus, for each time you complete a Pyramid, you get to play the treasure room, where you have to quickly match on the same principle, coins in pairs of 2, you have to be extremely fast to be able to complete all the matches. 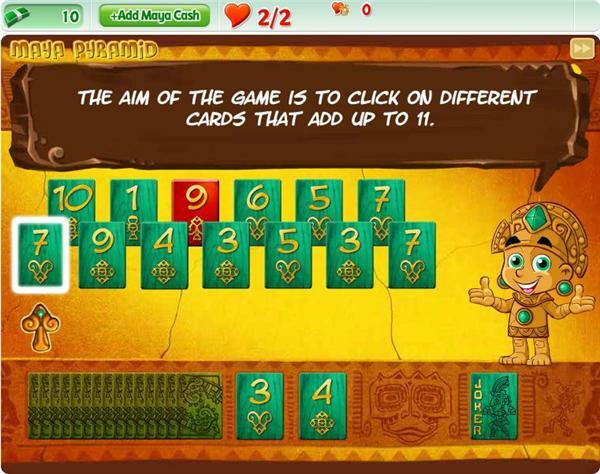 To control cards from the Maya Pyramid, players must use the left mouse button to click. 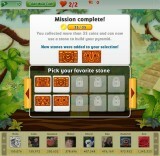 The same button applies when searching through the help cards to reveal cards that can form a group that adds up to 11. Extra care should be taken not to reveal all the cards at once since they cannot be used again. Each game is set to last for 4 minutes. For each level you get to choose a new stone, to ultimately build up your own Pyramid. 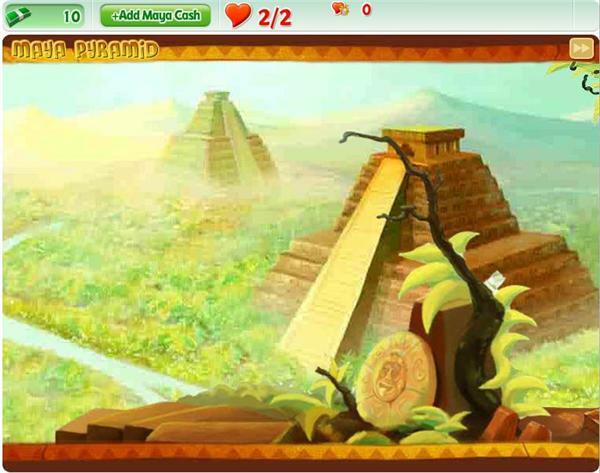 Maya Pyramid is available free on Facebook and can be donwloaded free for the iphone and ipad platforms in the Apple store.